If I’ve learned one thing this weekend, it’s that gratitude comes in degrees. I was unable to be in Beverly Hills on Friday night, and I honestly don’t know if I would’ve had the wherewithal to say what I actually felt when I learned I had won the American Poker Award. Though I have deep regret about not being there, it probably saved me an embarrassing moment or two. My inclination in the couple of days that followed was to get on with things, but the more I slept on it, the more I realized I wasn’t going to be able to move on without saying something. At the risk of belaboring this celebration a little too long, this is what has been on my mind. I had serious connections with all of my talented fellow nominees. All In magazine (and its then-editor Dan Michalski) was the first poker publication to pay me for a poker article. PokerNews is a longtime partner, one co-founded by John Caldwell, a friend and mentor who has since gone on to other great things. 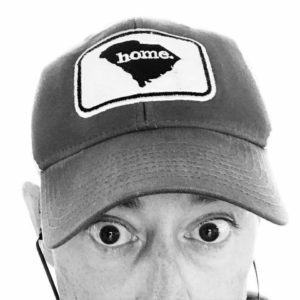 I’d just interviewed Jason Somerville and written profile about him. Any of the nominees could’ve received the award. It happened to go to me, something that was both amazing and humbling. It’s amazing because of how many people reached out to me publicly and privately to congratulate me. It’s amazing because of the people who take pride in me when I often fail to do it myself. It’s humbling, however, because, while the award had my name on it, it represents the efforts of a great many other people. Jayne Furman and my guardo camino Joe Giron captured the images that accompanied the stories. Simon Young and PokeStars have made sure I was out in Vegas for the World Series of Poker for ten consecutive years. My friends and colleagues who write alongside me or shoot the best pictures in poker make our site one that has lasted, as of this April, ten years. I hope they are all as proud of the honor as I am. Also, I’m very grateful to Alex Dreyfus for making sure the American Poker Awards happened, Nolan Dalla who presented the award (and I’m told said some very kind things about me), as well as all the people who made sure I was nominated. Every one of those people deserves thanks, as do the friends who hold me up when I’m ragged, and the family who sometimes has to live without me so I can do what I love. But really…really, for all the deep gratitude I have, all of it pales in comparison to how grateful I am for Vanessa Pacella and Nicole Rowe. When I met them one morning in Las Vegas and heard their story, it seemed nothing else mattered. Yes, people were playing for millions of dollars. Yes, there were stories up and down the hallway. 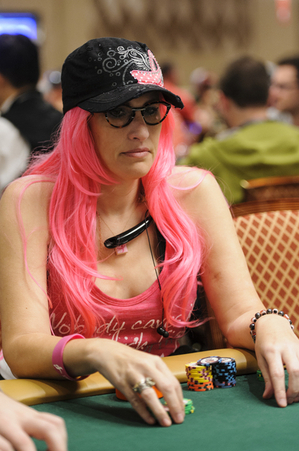 But standing there in front of me were two women who were tougher than anyone I would meet at the 2014 World Series of Poker. They shared a wig, which is no easy thing to do. It’s made tougher by what that wig represents. On the morning we met, Nicole—though she didn’t know it yet—was less than 24 hours from getting rushed to the hospital. Though she was nail-tough and determined, I can’t shake the picture of the sweat beading up on her face while she talked to me. She looked like she needed a break, but she refused it, only stopping long enough to grab a paper towel and dry the space above her lips. 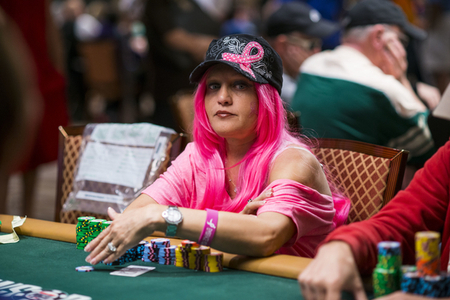 Later that day, she assumed the wig and went to work in the poker room. Busting out of the tournament didn’t compare to the rest of her night, sweating and shivering in a hotel room before escaping to a hospital. Vanessa, because the chemo had taken her eyelashes, couldn’t stop the tears from escaping her eyes, and yet she was radiant. The smile she wore and strength she projected from the outside made it impossible to see the cancer—metastasized from her breast to her liver—attacking her from the inside. She battled for an entire day, rushed back to her hotel room to tell Nicole about her success, and found her friend there in very bad shape. The only thing left to do was call 911. Vanessa and Nicole trusted me, they inspired me, and they let me tell their story. I don’t know what kind of award you can give someone for that, but if anyone deserves accolades, it’s Nicole and Vanessa. I’m beyond honored to have received the award for the stories, but I’m even more thankful for the lessons I learned from those two fearless and driven women. Yep. There is gratitude and then there is Gratitude. I am very fortunate to have both. It is Brad’s wont to deflect praise toward others. And it’s hard to argue with any of the places to which he deflects that praise and gratitude (most particularly toward Vanessa and Nicole). But for just a couple of minutes here, I want to stop and note that for a DECADE, Brad Willis has been showing a human side to the poker world, in media that usually distill everything to a flop or a cooler. 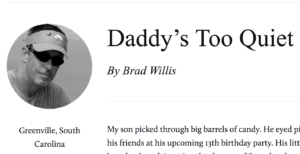 We are all better, richer, and more human for the writing that Brad Willis does; I hope that the award will alert more people to this ongoing gift that Brad gives us. Congratulations and well-deserved. It was a beautifully moving piece. Keep on keeping on Brad.